This invaluable guide for preparing the liturgies for the rites of Christian initiation will assist priests, liturgists, liturgy commissions, and coordinators of Christian initiation. The book focuses primarily on the rites for unbaptized adults but also considers the rites for uncatechized adults, the reception of baptized Christians into full communion, and the reception of Orthodox Christians. 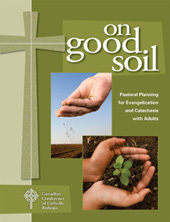 A Q & A chapter answers a range of questions for those who coordinate the process and parish pastors. A table outlines each period and step of the Rite of Christian Initiation of Adults, indicating the rites that occur during each period and the length of each period. 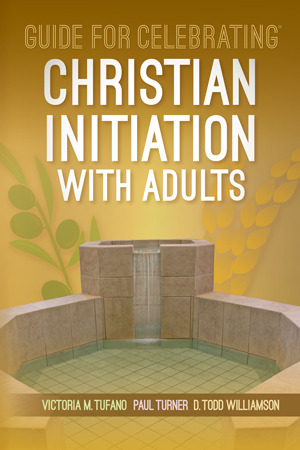 A glossary defines terms relevant to the Christian initiation process. The section on resources provides a library of initiation materials.